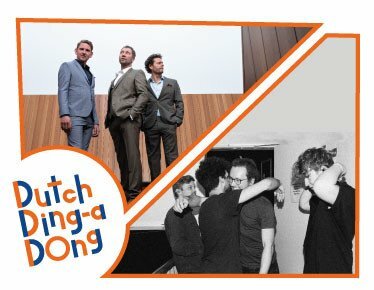 A joint effort of Zorlu PSM and Dutch Consulate, Dutch Ding-a-Dong will offer a platform for emerging Dutch artists. The festival aims to unite music enthusiasts and music professionals on the base of new-generation Dutch sounds and tunes within two weeks. 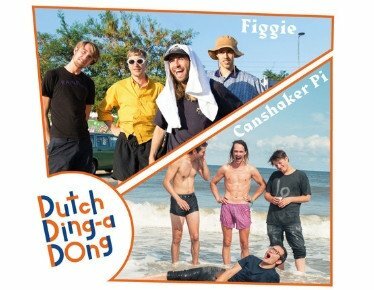 Dutch Ding-a-Dong will take place between the dates of April 17th and May 2nd and will 6 artists. In just a few years folk darlings Rosemary & Garlic managed to enchant an ever-growing audience with their music, which is rooted in the folk and singer-songwriter tradition. The Dutch band around singer Anne van den Hoogen (vocals, acoustic guitar) have come up with the perfect recipe for wistful dream folk. The lush guitars and crystalline pianos of the Kingfisher EP served notice of their talent back in 2015, but it was 2018th self-titled debut album that brought them widespread acclaim and millions of streams. It’s not hard to see why their music has resonated with so many. They craft sunny, melodic gems that shine like a spring morning, all delicate vocals and gentle tempos. Subtle electronic embellishments add depth to the mainly acoustic arrangements and set them apart from their peers, ensuring that songs never tip over into maudlin territory. They also have that rare gift of using their influences — Nick Drake, Joni Mitchell, Sufjan Stevens — as a starting point and not a template; these are songs that branch out in new directions, quietly defiant and unique. Not many can move so confidently from lo-fi electronica (‘Wintering’) to acoustic ballads (‘Birds’) and back to atmospheric indie-pop (‘Fireflies’) so deftly, but it’s just such a talent that attracted Nettwerk Music Group CEO Terry McBride, a man who knows all about nascent talent (he released Coldplay’s debut album). Rosemary & Garlic are a band to curl up with and to embrace; let their warmth and charm soothe you, and the world will seem a brighter place. During her study of literary history, singer Anne fell in love with Romanticism – an 18th century artistic, literary, and intellectual movement, in which nature was used as a metaphor for emotions and main characters sought authenticity. This is reflected both the words and detailed sound of Rosemary & Garlic’s palette, evoking their highly emotional songs. In 2018 the band played SXSW, The Great Escape and impressed many with an enchanting show at the St. Pauli Church at Reeperbahn. The music of Amsterdam-born musician Pitou is characterized by her highly distinctive voice, unique compositions and the use of vocal harmonies as an instrument in themselves, drawing inspiration from sources ranging from Bulgarian choir music to Sparklehorse and Joni Mitchell.Her highly anticipated self-titled debut EP was released last year on Scottish/Dutch label Mink Records and was greeted with national and international critical acclaim. Pitou's next EP “I Fall Asleep So Fast' (2018) continued Pitou’s development as a songwriter. About the EP Pitou says, "This second EP is quite dark lyric-wise, honestly I think life overall can be quite dark, and I'm looking forward to providing a counterbalance to that for myself. Humour is a wonderful antidote."